Get fed by royalty at a pocket-friendly price. Enjoy a warm and restful stay at Flagship 240 Southern Railway Station with a central location in Kochi, close to Ernakulam railway junction convenient for outstation travelers. The hotel has a modern and simple vibe. 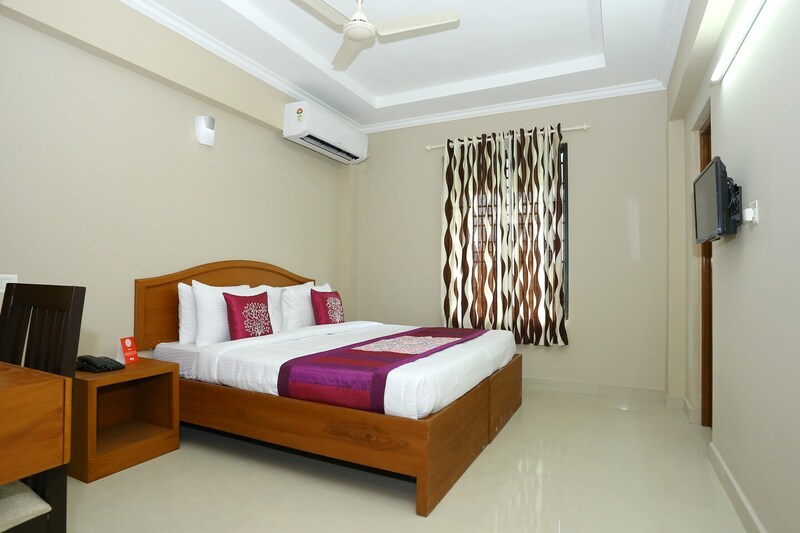 The uniquely designed rooms are spacious and well-furnished. The modern interiors feel welcoming and cozy. The window keeps the room well-lit with natural light streaming in. The bathroom is simple and is fitted with modern fittings. Various facilities available are free WiFi, power backup, card payment option, parking space and an elevator. The dining and seating area is warm and comfortable and the guests are encouraged to use the spaces. Several well-known restaurants and market place are in close proximity to the hotel.